As the Republicans were wending through their convention, and the Democrats were preparing for theirs, yet another horrid court decision was handed down. No, it was not the US Supreme Court appointing a president, as was the case in December of 2000. It was not a Pennsylvania court jailing kids for cash, but just as reprehensible. Instead, this decision came from an Israeli court in Jerusalem, but it has wrenching implications here in the US. The decision was a denial in the civil suit filed for the wrongful murder of 23-year old American peace activist, Rachel Corrie. Rachel was in Palestine during March of 2003 as a witness to the ever growing and long running humanitarian crisis in that country. On March 16, 2003 she was brutally killed by an Israeli soldier when the soldier ran her over with an American made bulldozer. Rachel was protesting the destruction of Palestinian homes in the Gaza strip. The incident was captured on video, so the blatant act is hard for even the most strident supporters of Israel to deny. In the moments prior to her death, Rachel spoke directly to the soldier who would kill her just minutes later. Despite Rachel being clad in bright orange, carrying a bullhorn, and having made her presence known to the bulldozer operator; she was run over in cold blood. It is hard to imagine the aches deep in the hearts of Cindy and Craig Corrie. In an attempt to shine light on such a horrible abuse the Corrie family sued. They were not seeking the millions one would expect such a suit to bring, but rather they simply asked for a verdict and a cash award of one dollar. Sadly, but not unexpected as every day in Palestine is a day of justice denied, the court ruled that there is no culpability on the part of the army and that Rachel’s murder was an accident. Any parent can surely relate to grief and fury that Craig and Cindy continue to absorb regarding the loss of their exceptional and courageous daughter. Yet the Corries continue to forge ahead, not with bloodlust, but with dignity and determination to bring awareness regarding the situation in Palestine, and the passion to help others that Rachel paid for with her life. Truly, the Corries represent a rarity in today’s America. Most Americans are aloof and indifferent to the plight of others around the world, and even here at home. Rachel was raised to be aware of the world around her. She refused to bask in her privilege as a White, middle class American. Instead she used her talent and resources to defend victims of institutional oppression and shine a light on the problems that are preventable, if we choose to understand and to care. These are parents who deserve recognition for a job well done. At this moment in time these parents should have the support of the world and of their country. Unfortunately, such support is not likely to come their way in a country in which self-enrichment is valued far more than honor. Despite being a country laden with media, too few outlets are even willing to approach such thorny subjects as Israel/Palestine. Nearly two weeks after the Corrie decision our country has yet to hear from either of the old party candidates for president on the tragedy of Rachel’s murder. Rather, they are jockeying to see which one can throw the larger portion of US tax dollars at Israel, allowing for more of the same brutality and injustice that is the harsh reality for Palestinians every day. There will be no pressure from a silent collection of party faithful, or from American media. As a matter of fact, the only articulate political voice in America, on this issue, is the US Green Party; which itself is regularly ignored or diminished by American media. Still, like Rachel, we Greens do have proposal that will symbolize solidarity with the Corrie family. We are demanding that President Obama immediately summon the Corries to the White House to accept an award of the Presidential Medal of Freedom for Rachel. She is surely a woman deserving and such a gesture would go a long way toward awareness of issues in the Middle East, and may offer some comfort to Rachel’s family. 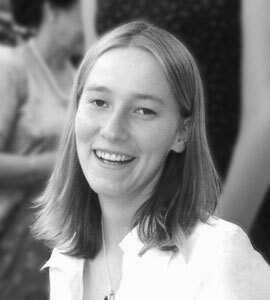 In the alternative, we call upon the Nobel Committee to strip the President of his Nobel Peace Prize, and re-award it to Rachel Corrie, posthumously. Rachel represents the best that America can, and should, be. Rachel is truly a hero and she will always be representative of a much needed American conscience. We can all learn from the wisdom and courage of Craig, Cindy and Rachel Corrie. We Greens understand that we are not likely to see either of our suggestions for awards fulfilled, so one may ask why we make such a suggestion. In the words of fifth grade Rachel Corrie: We Greens do this “because we care.” At the very least, may Craig and Cindy understand that the US Green Party respects the values that they instilled in their daughter; the same child who as a fifth grader encouraged us to look to the future and see a light shining there. We have, and that light is Rachel Corrie a radiant spirit of peace and justice.